Nearly a million couples divorce each year in the U.S. and in the process, face some of the most important economic decisions of their lives. The potential for serious financial problems post-divorce calls for making good choices—just when painful emotions are running high and clear thinking may be a scarce commodity. Your attorney is handling the legal aspects of your divorce, but you may benefit greatly from the services of a financial professional trained to help you choose the best options for your future well-being—the Certified Divorce Financial Analyst®. 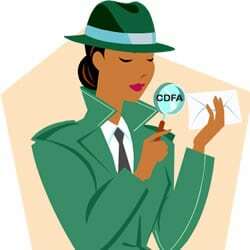 So, what is a CDFA® and why would you need one? A CDFA is specifically trained in the financial issues of divorce. His or her role is to provide financial education and support throughout the divorce process. The CDFA is a financial professional who has met the specific education and experience requirements of the Institute for Divorce Financial Analysts™. After passing their exams, CDFAs receive special software enabling them to produce graphs and charts for clients that show them the long-term results of various financial settlements proposed during the divorce. The type of help the CDFA provides will depend on your situation and your needs. They can help you examine and understand lifestyle costs, explain the nature of various assets, inform you of the tax implications of various settlement options—now and in the future. Your CDFA can provide the information and analysis needed to smooth the financial aspects of your divorce and help you proceed into the future with greater clarity and confidence. The services of a CDFA can level the playing field for spouses who haven’t shared the family’s financial management equally. If you are the spouse who didn’t handle the finances, your need to know is greater and coming up to speed in money matters will ease the fear and apprehension you may feel as you face new financial responsibilities on your own. Easing negative emotions—fear, apprehension, anger—can benefit both spouses by making the divorce process feel more equitable and non-threatening. A CDFA has specific training in forecasting the long-term effects of a given divorce settlement. Is it better to take the family home or a cash buy-out? What percentage of retirement funds, business ownership, or other assets would serve you best, not only today but in the years to come? Developing a long-term forecast for your financial situation is just as important as making sure your immediate family needs are taken care of. A CDFA can help develop a realistic monthly budget during the process of analyzing your current financial picture. Expenses such as life insurance, health insurance, and cost of living increases must also be considered when agreeing on a final financial settlement in your divorce. Your CDFA can explain financial options, help set priorities and lead you through the hard choices ahead. Professional divorce financial analysis increases the accuracy of financial information so that both parties arrive at workable settlements more quickly and more comfortably accept realistic lifestyle changes when necessary. 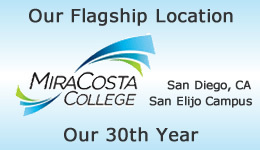 Can you recommend a CFDA in or near San Rafel California?